We were reading the papers Friday night two weeks ago when a few texts hit the phone to say that Joe McDonagh had died. Even with the knowledge that Joe had been seriously ill over the past while, it was still difficult to comprehend that such a gregarious, energetic, and vibrant man had passed away at such a young age. Any time you met Joe McDonagh you could feel the energy that he had. He had a great understanding of people and he had empathy for them, and a genuine desire that people would do well in their lives. Some of his former work colleagues have mentioned how kind and inclusive he was and how he always took time to meet people and make them feel part of his team. He was one of the youngest GAA presidents of modern times, elected at only 42, and he had the further distinction of still being a club player with the Ballinderreen junior hurlers at the time of his election. As current GAA president Aogán Ó Fearghaíl pointed out about Joe McDonagh’s presidency of the GAA at the funeral in Barna, Joe was all about empowerment. He encouraged counties and clubs to stop moaning and get on with the job at hand. His mantra was that people should get up and act, take the initiative and do it themselves for their clubs and county. He had a truly fantastic capacity to remember things and remember people and their names and he was a superb people person who always made the person he was talking to feel really important. When Corofin won the All-Ireland club title back in 1998, I was fortunate to be captain and Joe presented us with the Andy Merrigan Cup in March. I was in his company one night at a function in Cork and I asked him how he could remember so many people’s names and who they were. He told me that it was about building connections with people. You listen carefully and link where they are from with what they work at, and their family connections. You memorise all those key details and then when you meet them again – once you get a small bit of information - the whole jigsaw falls into place. It is something I have tried to do with new people that I meet since that conversation over a decade ago and it does work. It is a bit like scaffolding. You build layers on layers until you get to the point where you have the knowledge and will not forget it. Joe had that talent innately and he also had the computer-like brainpower to retain the information. 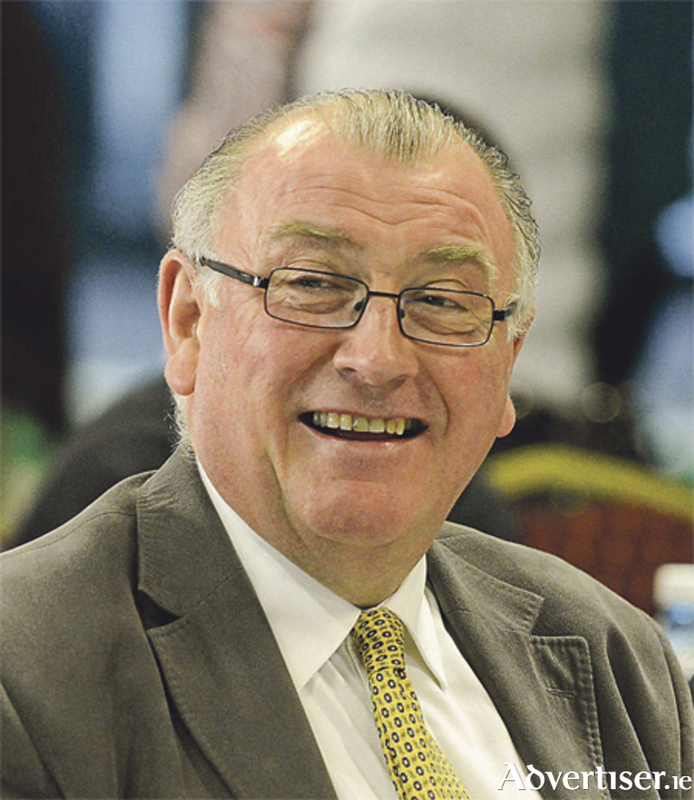 There have been many tributes to Joe McDonagh over the past week; however I thought President Michael D Higgins summed the Ballinderreen man up very well: “Joe was a giant in the world of Gaelic games, both as a player and a leader in the organisation of the GAA,” he said. The high esteem in which Joe was held was evidenced at his colossal removal on the Monday evening and funeral on the Tuesday when people that he had connected during his life came to offer their sincere condolences to his wife Peig, son Eoin, daughters Muireann and Eilís, and his extended family and friends. Joe brought pride and honour to his family, his club, his county, and the GAA community at large - which is a wonderful legacy to have.